Niall O’Brien is the CEO of a privately owned distribution company, the Facey Group, which provides IT and telecommunications services in the Caribbean and Central America. A Chartered Accountant who originally trained with KPMG in general practice audit in Dublin, Ireland, Niall has worked in a variety of industries, including telecommunications and broadcasting, real estate development, and consumer products distribution. In this episode, he shares his experiences living in working in Ireland, Jamaica, and the UK before ultimately moving to the U.S. in 2010. Listen in to hear the important financial lessons he learned along the way, as well as his advice for other travelers and immigrants on navigating credit, managing debt, and investing wisely. Niall’s immigration story and career path. His experience navigating visas and getting a Green Card. How he navigated his personal finances as he traveled and lived in different countries. His strange experience trying to open a bank account in the UK. What an IRA is and how it works. The two types of IRAs. How a 401K plan differs from an IRA. Differences Niall sees in the way people from Ireland relate to money vs. people in the U.S.
What he wishes more international and multicultural individuals knew about managing finances. The rules he follows with his money. Ways to build your credit score. The characteristics of “good” debt vs. “bad” debt. Personal finance topics Niall is curious about. His best and worst financial decisions. His happiest and unhappiest moments relating to money. What he would do differently if he had an unlimited amount of money. His tip for listeners on managing their personal finances. Sahil Vakil: Welcome everyone. Welcome to the fifth episode of the MYRA Wealth podcast. Our guest on today's podcast is Niall O'Brien. Niall is a chartered accountant who originally trained with KPMG in general practice audit in Dublin, Ireland. Since then, he has worked in a variety of industries including telecommunications and broadcasting, real estate development and consumer products distribution. After living and working in Ireland, Jamaica and the UK, and then moving back to Ireland, he eventually moved to the United States in 2010 and now lives in Miami. He's currently the CEO of a privately own distribution company, which provides IT and telecommunications services in the Caribbean and Central America. Niall was born in Ireland and all his parents and grandparents are Irish. Niall likes to travel for work and leisure, having visited 70 countries so far. His most recent hobby is learning how to fly when time permits and he is close to getting his private pilot's license. 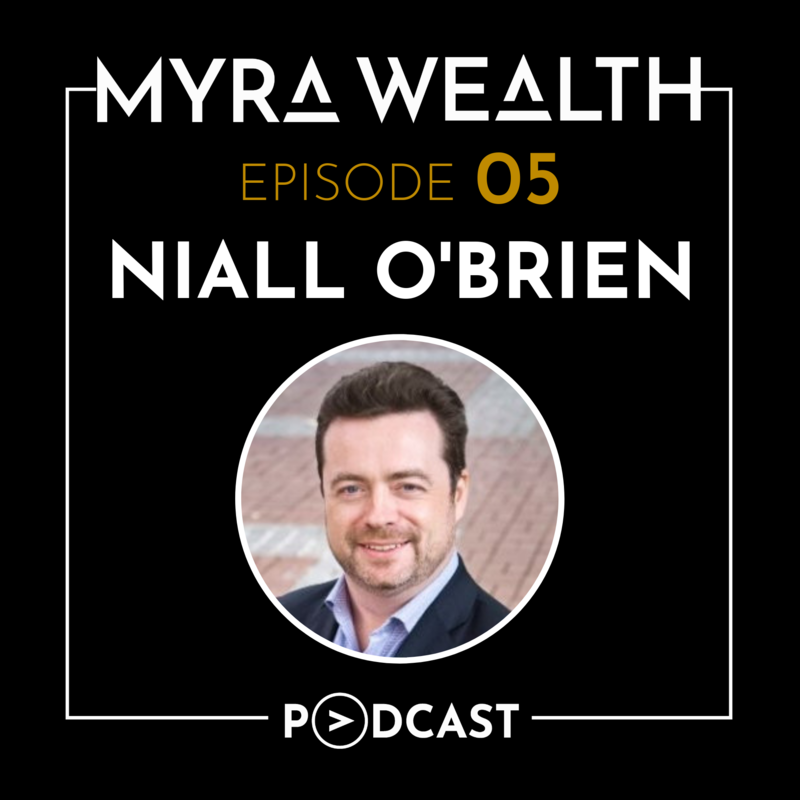 And with that introduction, I welcome Niall O'Brien to the MYRA Wealth podcast. Welcome Niall O'Brien. Welcome to the MYRA Wealth podcast. Niall O'Brien: Thank you for having me. Sahil Vakil: Absolutely. It's a pleasure Niall. I've known you for a few years now and I know you're Irish because we've spent several years drinking beers, especially during St. Patrick's Day and now you live in Miami, in the United States. But if you don't mind just briefly introducing yourself and telling us how an Irishman growing up in Dublin, Ireland, if I'm not wrong, basically moved to Miami in the United States. What was your journey like? Niall O'Brien: Yeah, so this was a bit of a story to it. And I am Irish born, born in Dublin to my parents and all my grandparents are Irish. And I did do a 23andMe DNA check a couple of years ago and I think I'm like 97% British and Irish and the rest is just general northern European. So I'm very, very definitely but Irish descent from many generations. Sahil Vakil: For listeners that don't know about 23andMe, 23andMe is a personal genomics and biotechnology company. The company is named after the 23 pairs of chromosomes in a normal human cells. And these 23 chromosomes, at least to my understanding are made up of several DNA. And DNA can tell you a lot about your ancestry somehow. So offer MYRA has an affiliate kind of partnership with 23andMe where we work with them in providing our clients with an ancestry report. The ancestry report basically tells you for our client all about your ancestors where they were from and you know where your ancestral roots are. In addition, this report also helps you kind of find your genetic traces of where your ancestors lived throughout history. I mean it's a pretty strong database. So if you're interested we'll put the link there website in our show notes and show notes will be available on Myrawealth.com/podcast. So if you want to look into that. Sorry Niall, just back to your story please, please continue. Niall O'Brien: My first when I left high school I actually joined KPMG directly from high school, become a chartered accountant to sort of the equivalent of a CPA, didn't go to university or the sort of formal university, although it was a sort of two year training course with KPMG and then regular audit work in as a graduate would do when they joined KPMG from college and got my qualifications there and then ended up working for a client who was a sort of entrepreneur and fairly well known guy in Ireland who had a telecommunications company and a bunch of radio stations and various other businesses. And I have been working on some projects with them as a client and they ended up offering me a job to be financial control of part of their businesses, which I did for a few years. And then that same guy started to invest in the Caribbean in telecoms, in mobile telecoms licenses to basically build mobile networks because in most of the Caribbean at the time, there was only one mobile network in each country. They hadn't brought in competition and he decided to go and compete. So I became finance director. They offered me a job to go down and live in Jamaica. And this is about, this was in the year 2000, so 19 years ago now, quite a while ago now. And so I went and moved to Jamaica to live for two years, which I did. And it was extremely intense startup situation in the time I was there for two years, we went from like 12 staff to about 400 staff, launched the company, it did quite well. The company is still there to this day and now operates in a few dozen countries. After I finished up that and it was a limited time contract, ended up living in London for three to four years, then back in Ireland for another three or four years. And then I had always kept in touch with some of the people I'd known when I was living in the Caribbean. And in particular with basically the owner of the company, I work for now, the owner of the wider group, the company I'm in is part of and started doing some consulting work for them when I was living in Ireland because they had to identify the company in Ireland they wanted to acquire. So I sort of assisted them with that and kind of help them with the due diligence and engaging advisors and stuff and basically help them do the deal. And that kind of led on to them asking me to do other tasks and it sort of after a year or two, it almost became sort of full time. And then a year or two later they said, "Look, why don't you come to Miami? We need someone to run this part of our business and will you come move to Miami?" And at that point I knew Miami reasonably well because for the work was visiting it several times a year. So I said, "Yeah." And came here just about nine years ago and have been here since. So it sort of, I guess I can trace it back to the decision to move for the job offer I got to go to Jamaica 19 years ago and has sort of led in an indirect way to the job I have now. And the company I was working for when I went to Jamaica, the telecoms network is our largest customer now. So I deal with them on a daily basis, obviously all of the people have changed in that period of time, although the owner is still the same. Yeah, that's how I ended up where I am. Sahil Vakil: That's a fascinating story. It's amazing how life takes you to so many transition. Niall O'Brien: Yeah. If you'd like, if someone says, well did you plan to end up in the US is absolutely not. I had no idea where and some people do sit back and try to plan their career and say, well I'll do a few years the I'll join the bank, then I'll join this or do this, do that. I was not as forward thinking of that but didn't have a planned party because I never had a particular burning desire to say, well I want to work in this business or want to work in that business. And I said it just sort of took the opportunities as they came. Albeit I'm fairly happy with where I've ended up. I do enjoy living here. Sahil Vakil: Oh, that's great. I think two questions kind of come to mind just hearing your story. Right? So one is clearly you were born in Ireland, so you lived there and then eventually you migrated or immigrated to the United States. So I'm assuming you came here on a visa, like an L1A or an H1B one of those. Niall O'Brien: It was L1A. Yeah. Sahil Vakil: Okay. So there's an L1A multinational manager because you are working in Jamaica and then you move to the United States. Niall O'Brien: Well no, it's because it'd been in Ireland and the company the group I'm in now acquired in Ireland, I was the director of that company and working in it as well as working for other parts of the group. We have an investment in New Zealand and we have a bunch of stuff in this sort of region, Latin America, Caribbean. And so when the time came to say, "Hey, come to Miami and we spoke with the immigration lawyer in Miami." He said, "Well, because I'd been working for the group for more than 12 months and it'd be a couple of years, couple of three years at that point. The L1 was the most obvious and the easiest one to get because it doesn't have the quote is like the H1 or the quotas are never mess. So they're easier to get those visas than the H1s. Niall O'Brien: That's correct. Yes. So that's exactly what happened when the L1 at the time was a three year visa and it could be extended twice for two years each. That was the rule at the time. I don't know what it is now, when it came at the two and a half year stage and I called the lawyer and say, how do we go about this? And we talked it through and he said, look, the difference between applying to extend the L1 in the category I'm in and the position I'm in versus going for the green card is yes, it's a few extra forms, a little more work, but fundamentally it's kind of the same information they need. And all the similar boxes need to be ticked on. Yes, it's a little more money but not much more money. So it'll give much greater flexibility. Plus the L1 does end after seven years and if you then you're kind of stuck if they changed the rules on the green card. So we went to green card roofs, it took I suppose from beginning to end it took about eight or nine months. So I did go over the end of the L1 but by then they just issued the parole card employment authorization card. That kind of kept me in a sort of limbo while waiting for the green card to tissue. It sorta had been first round approved. So I got this authorization card. It didn't mean every time I came into the country, which is pretty regular because I take a lot of short international trips. I had to go into the secondary screening every time as a formality because I think they have to do one extra layer of check on me. So that was a bit of a pain in the neck for two or three months it sort of used to take about three hours to come through immigration each time once the green card was issued then, all was normal. So. Sahil Vakil: Okay. Excellent. That's a great insight. Yeah. So I guess advanced peril, it basically creates an additional layer of security check. Niall O'Brien: Yeah, I think it's something to do with, it was some very peculiar category I fell into because my visa expired, but the first round of the green card application process had been approved. So what they haven't, I think through just purely processing times, hadn’t gotten around to issuing the green card. So I was given this interim status, which worked fine, but it just caused a delay at the airport each time. Sahil Vakil: So my second question just given your journey was you've lived in so many different countries from island, you went to Jamaica, to the UK and now the United States. How did you navigate your personal finances in each of these different countries? You had to study the infrastructure from scratch and how did you go about kind of just figuring out like what the different savings instruments were? I mean you were obviously a chartered accountant or a CPA, so you were way above the average person and understanding these financial concepts. But still I'm intrigued. Niall O'Brien: Yeah. So the Jamaica, it was a two year contract and yes, it could have extended, but it had a finite lifetime and I didn't ever believe I'd spent my life living there. So I wasn't ever focused on any kind of financial product in Jamaica, what I did was I had a pension plan, I don't have a technical word, let's call it pension plan. The, in Ireland, I'd had it for a couple of years that I was putting money into. I kept putting money into that through lack of anything else to do, even though I wasn't technically working in Ireland but just as somewhere to put money. I continue to put money into that. And so I never really established anything specific while I was in Jamaica. And it was kind of funny when we arrived first, it took, because the project was quite a new one, although the governments were approved because we had applied for, the boss had basically purchased the license in the deregulation process. But it took as you can imagine the paperwork, it took a couple months to formerly issue, the work permits for the various expat employees. It was about 12 or 13 of us to start with. And so I was kind of just really working off my ATM card and credit card from Ireland to ... And we were being paid still into our bank accounts in Ireland at the time. And because until we get work permits, you could be set up on local payroll. But what happened was because we were going to be quite a large company, local bank manager of branch of a bank that we ended up doing extensive business with and borrowing from. And they were part of our overall financing for the entity, came knocking and he was a bit of a salesman and he told us all about it. He basically knew we were hiring a ton of people or we're going to hire a ton of people. And he said, well he'd be more than happy to facilitate all the people we hire opening a bank account at his branch. Because a lot of people at the time in Jamaica wouldn't have a bank account until they got a job. And we said, fine. So we'll set something up, two days later a motorbike courier dropped off at the office, an envelope for me and I opened it up. And inside was an already opened bank account in my name with the ATM card and credit card and all I had to do was sort of fill out the form, sign it and give it back to the guy and he'd bring it up. And I never even had to try and open a bank account in Jamaica. The bank manager just opened it for me and gave it to me and I'm sure the law probably wouldn't allow that these days. Maybe it does push that. So I never even had to even figure out how to open up bank accounts because it got opened for me as a sort of sales pitch from the bank because I was the finance director of the company. So that was kind of kind of funny I taught, but I guess the guy took a good risk in that because he ended up getting a hell of a lot of business from us. Sahil Vakil: Absolutely, just from the see kind of the difference in emerging versus developed markets, how regulation has played such a large role in these very strict laws that basically I mean what you did in Jamaica would never be allowed to the United States or even in the UK. Niall O'Brien: It's not allowed anymore. I mean this was pre 9/11, you have to understand this was the year 2000. So I don't think the rules were even that strict elsewhere, they probably were stricter and nowadays I know from when we tried to ... If we need to open a new bank account for one of the companies with layers upon layers of KYC, Niall as a US person because I'm a US resident I have to tick that box whenever because I was a director of one of the companies, if we're opening a bank account for it. All the usual stuff that you'd be used to has to be done. So I think it's slightly different now, but that was all taught. That was funny. The guy just took it upon himself. He kinda knew who we were and knew we weren't a kind of flash in the pan, fly by night people. So he just decided here I'll just open bank accounts. He did it for a few of us and it certainly made life easy because then, had a local bank account straight away and I could put money in my local ATM card and credit card. So that made it easy. That was really the only financial thing I did in Jamaica. And that the story when I went to the UK was completely different, for the first couple of months I was in the UK, I was still doing an element of sort of consulting work, for want of a better word, for the company in Jamaica. And while looking for something in London, my girlfriend had a job there. This was probably why we chose to go to London. So one of the first things I did was after we found a place to live and got a lease and then once we had our electricity bill or phone bill, whatever it was, should I knew I'd need, I took those and my passport and the least, and I'd say my girlfriend is at the time was British herself so she already had bank accounts long ago. But I wanted to get my own, so I went to a bank branch with my passport, my proof of address being the lease and the electricity bill. And I even had it, because I was sort of like all the camps and some of it a little bit nerdy, but keeping a document. So I had a binder with about five or 10 years of bank statements and credit card bills from my Irish accounts. So I assumed they just go, "Okay, fill out these forms and you have a bank account." And they would not open the bank again for me because I didn't have a job. And I said, "What difference does that make, unless you have any income money coming in, we can't, our rules say we can't open a bank account for you." And I went, "Oh, what do you mean not, but I have money, I can show you. Here's a bank account in Ireland there's 10 years of documents there and you can see there's money in it and I can just move some of that money over here and I have a lease and I'm living here." And they just went, no. And I said, "Well, how do I get a bank account?" She says, "Well, why don't you go down to the social services and claim unemployment benefit. And that means you'd be getting regular money." And I just was going, "Are you insane? I just got here, I'm applying for jobs. Why would I claim on unemployment benefit?" Technically I think Irish people in the UK can Irish people, Ireland and the UK, regardless of the EU, kind of treat each other's citizens as their own, there's almost no impediment at all in accessing social services on either side of the IRC for Irish and British citizens. It's you either can work, there's no work permits or never has been. So, but I just thought this was bizarre and I said, so, and I asked the question, I said, "Are you saying that if I bought a lottery ticket today and at the weekend won a million pounds in the lottery draw and I brought the check in here, you would not be able to open me up bank accounts?" And she said, "No, we would not." I was flabbergasted by this. So I just sort of went, okay, damaged, it doesn't matter. And then I got a job a few weeks later and opened the bank account. It was not a problem at the end, but it was bizarre. So that was a very different experience. And then I'd say coming to the US it was sort of in the middle of the road but then I had a visa on the job so I was able to open a bank account in a day or two after getting here. So although it seemed to be less strenuous process than the UK, which seems to have a slightly stricter rules. Sahil Vakil: That is indeed very bizarre Niall, that experience just sounds kind of unheard of. I've never kind of seen a bank or heard of a bank requiring an income stream to open a bank account. Here on the United States, you're rights setting up a bank account is relatively easy. In general, banks will just require you to have like a valid government issued photo ID such as a driver's license or a passport. And if you don't have a driver's license when non-drivers you could just get like a state ID from the department of motor vehicles and that's all they would need. In addition, they might ask you for like some basic kind of information such as your birthdate, physical address, phone number, email, et cetera. Again, this is just generally for kind of resident aliens or US citizens. If however you are a nonresident alien or like an international student, you might require additional documentation. They might ask for kind of your foreign passport and a valid US visa. They might ask for a copy of your i20 or DS 2019 form and the ultimate ask for the i94 printout, which typically shows your entry into the United States. So keep in mind you don't actually need to have a social security number to open a bank account in the US, I mean all you need is an ITIN number which would suffice from a tax reporting perspective. Niall O'Brien: And then when I was in the UK in terms of savings products, I again, because I still had that Irish pension product and I wasn't really sure what to do. So what we focused on actually was just pulling a bit of money together and investing in an apartment which we lived in, but kind of with the intention that we'd probably keep, which we have kept as an investment and rent, it's been rented out now for over 10 years. So that's sort of where our money went in the UK rotter into any kind of traditional pension savings account. There was one with my job, but when I left the job, it's sort of cashed out automatically and I just took the funds from it. And then what I've come to the US I've just been putting money basically in a regular IRA, personal accounts, nothing particularly sophisticated about it. But then most of my assets are in real estate, really between Ireland and the UK. Sahil Vakil: For our listeners, an IRA or individual retirement account is a retirement savings instrument, which allows you to save money for the time and in a taxed advantage manner. So currently for 2019, you are allowed to contribute up to $6,000 into an IRA account. Make sure you don't over contributed because there is an excess contribution penalty. It's called the excise tax, which is about 6% of the overall contributions and it kind of lessens the benefit that you get from the actual contribution. Also note that contributing to these accounts are permitted only if you've earned income in the year. So again, earning an income means you're either being paid a salary or a wage or a tip or a bonus, et cetera. It's kind of active or earned income. It does not include kind of passive income like interest or dividends or capital gains that you might get. There're generally ... I mean, there are two types of IRA accounts, so a traditional IRA and a Roth Ira. So just a quick kind of comparison. A traditional IRA allows you to make pretax or tax deductible contributions here, your IRA earnings grow tax deferred and upon withdrawal you pay ordinary income tax on the principal ad earnings. Compare that to a Roth Ira, A Roth IRA allows you to make post tax contributions. These contributions are tax deductible in the year they're contributed, sorry, these contributions are not tax deductible in the year that they are contributed. However, the earnings on the account grow tax free and all withdrawals on retirement are tax free as well. Just keep in mind if you'd do redraw funds, from any of these accounts prior to the time and though, your withdrawals are subject to a 10% early withdrawal penalty. And typically early withdrawals are considered any withdrawals before the age of 59 and a half a years. There are obviously certain exceptions to this rule. The IRS allows you to ... As an example, a withdrawal up to $10,000 for a first time home purchase, that's exempt from this 10% penalty. And there are a couple of others as well that you might want to look into. So a lot of times folks ask us like which ones should we invest in? I mean, if you're deciding between a traditional list or the Roth Ira, the rule is pretty simple, right? I mean, if you expect to be in a higher tax bracket today versus upon retirement, then contribute to a traditional IRA today and pick the tax deduction today, right? Because you're in a higher tax bracket. However, if you expect to be in a higher tax bracket during retirement, then contribute to a Roth today such that you don't have to pay taxes, but you're on a much higher tax bracket closer to retirement or during retirement. Also, Roth IRAs have phase outs or income phase outs as in like if you earn more than a certain income, you become ineligible to contribute to a Roth IRA. For 2019, for single filers, it starts at about 122,000 and over $137,000 in income. You're actually a phased out and you can no longer contribute to a Roth IRA, for our mattered folks, the phase out starts at about $193,000 in 2019 and kind of over $203,000 of household income you get phased out from contributing to a Roth IRA. If you're over the phase out limits, which I've seen a lot of folks in the Manhattan or California areas specifically kind of phase out pretty quickly. You could potentially kind of apply a strategy that's called a backdoor Roth conversion. So without getting into too much detail, right? So a backdoor Roth conversion allows you to get around this kind of income phase out limit by converting a traditional IRA into a Roth. So again the operator word be converting. So in a loophole here, another loophole of the operation like the difference here is why contributing directly to a Roth IRA is restricted given your income levels. There is no income fees out as it relates to converting. So you should contribute $6,000 to a traditional and then simply convert that traditional to a Roth. That's what a backdoor Roth conversion is. So you're saying your primary source of retirement savings is your IRA. Does your firm offer a 401(k) plan at all or? Niall O'Brien: It does, I would say I haven't explored it fully enough. We actually only have a handful of employees in the US so we don't have a terribly well developed or confess sort of a structure around that. It's just sort of the bare minimum. And it's probably something I need to investigate a little more. But for the moment my sort of savings are what I put into the IRA and some just regular vanguard funds not in any way sort of pension, just regular savings plus the real estate that I have and equity and in the company I work in. Sahil Vakil: A quick point of clarification for our listeners. The 401(k) plan is also a retirement savings instrument similar to the IRA. In terms of the high level differences, a 401(k)plan generally set up by our employer, unless obviously you're a solo entrepreneur in which case you can set up a solo 401(k)plan for yourself and contributions to 401(k)s are generally made from your paycheck with a maximum contribution limit of per employee of about $19,000 in 2019 and again this is just for employees that overall maximum contribution limit is much higher. I think it's closer to $55,000 especially if you are a solo entrepreneur. Compare that to an IRA, we discussed earlier and an IRA is typically set up by you as an individual. Contributions generally are made from your bank account, not from your paycheck. The maximum contribution limit as discussed earlier is about $6,000 in 2019, so similar to an IRA or a 401(k) plan maybe set up as traditional 401(k) or Roth 401(k) just keep in mind, not all employers are offering a Roth 401(k) plan. So you might want to check with kind of HR or payroll. It's available to you at your firm. Just moving on in that sense. So clearly you've been in the United States now for about nine years, you also did live in these different countries and especially like Ireland where you grew up. Do you see a stark difference in the way that individuals from Ireland relate to money versus individuals in the United States? Is there a different relationship that people share? Is there a different way to think about money? If you can help us compare and contrast those cultures? Niall O'Brien: It's an interesting question. I guess living in Miami is probably not a fair reflection of the US in terms of how people spend their money and what they do with their money. Because it's such a sort of very peculiar economy down here. But I would say in the US credit is much more widely available and more easily accessed, the sort of institutional structures around giving credit are much more sort of pervasive and sophisticated. So just everything from FICO scores for the ability of anyone, whether it's a car dealership to the credit card companies to I guess furniture stores to very quickly run your social security number and give you credit or make a credit decision. It's much more a part of life here than it is at home. Although I think that's changed probably a lot in the last 10 or 20 years in Ireland. Certainly growing up when I was in my 20s it wouldn't be a given that everyone has a credit card. People would have ATM and debit cards for sure, but people wouldn't necessarily have had credit cards. And if you wanted to buy a car or something, you were likely just won't have to go to the bank for a loan rather than the car dealership themselves being able to organize financing for you. Again, I think that has gone more the US roofs over the last few years than it was then, I think people do save, I mean there's a lot of ... There's similar taxes and to pension saving in Ireland and the UK than there is in the US and they're all structured slightly differently, but they're fundamentally the same. They encourage you, you can put some of your income into savings as sort of pre tax. But obviously then it's taxed on the way particularly if you cash it in early and it's allowed to grow without tax being levied on the growth in those funds. So it's a similar sort of idea. And people do save that way. So I would think from that point of view, it's similar. I think in one thing that's different in the states for sure is this idea of having to pay very large amount for education. And I don't have children, perhaps anyone who does saving for college funds for children's is a big thing, but for people to borrow money to go to college is a very sort of thing that's taken for granted in the US which is not the same at home at all. Number one, the education is significantly cheaper, but the idea of having a loan specifically to go to college was something that just didn't exist certainly when I was growing up and I don't think particularly exist it now either. You work to your parents paid or you got some form of grants to cover it. So that's very different here compared to Ireland. Trying to think of other differences. Yeah. Sahil Vakil: In terms of education savings vehicles in the United States, there are three main ones that come to mind that we typically recommend to our clients. One is the 529 plan, two is the Coverdell ESA and a three is the UTMA or UGMA plan. Let me quickly kind of walk you through each of these, right? What these are. So the 529 plan is a college savings plan. It was initially created to help families save and pay for qualified higher education expenses. I had eligible educational institutions including post-secondary trade and vocational schools, two or four year colleges, and also I believe postgraduate programs. Most recently following the tax cuts and jobs act. The TCGA, the 529 plan scope was expanded to allow families to use up to $10,000 per year even towards tuition expenses at private public and religious elementary and Secondary K-12 schools. I mean, that's a huge kind of change, right? However, not all states have adopted this federal update and in certain states such as New York, consider any payments from their 529 plan towards K-12 tuition as kind of non-qualified expenses. And they kind of mandate the recapture of any state tax benefits. If you do use your state 529 funds towards K-12 tuition. So just keep that in mind. In general, 529 plans are a great college savings instrument as your contributions could grow federally tax deferred and withdrawals to pay for qualified education expenses are tax-free. In addition, even though the 529 plans do not have any kind of federal tax deductions in some states like New York, they allow you to deduct up to $10,000 if you are married or $5,000 if you are single from your New York state taxable income. So I think that's a huge benefit. But again, I mean remember that your New York state does not align with the new federal mandate which allows you to pay for a K-12 tuition. So if you do use your New York 529 plan funds to pay for K-12 tuition, you will not be eligible for any state deductions. So there are several benefits just of the 529 there's no income phase outs. Pretty much anyone can contribute into a 529 plan. Typically, the parents not typically in most cases the parents are the owners and the child is the beneficiary. So when your child does apply for financial aid, it's excluded from their financial aid eligibility in that sense. And then finally you kind of the patterns can change beneficiaries at any time. So if you have two kids and one kid decides not to go to school and gets a full scholarship, you could just kind of change the beneficiary even sometimes to yourself if you want to pursue advanced education. One disadvantage of the 529 plan is that the fund restricts the use just for kind of education expenses. So if you ever need to withdraw the money for any other reasons or use the money for any other reasons, you will end up paying like a 10% penalty or what I considered non-qualified expenses or kind of an early withdrawal from the 529 plan. I mean just to kind of circumvent that, we typically recommend to our clients that generally they contribute the entire 15,000 per year if you're single or 30,000 per year if you're married, that's the maximum limit so as not to trigger annual gift taxes. And once you've done that, we just say don't withdraw the 529 if your child does not decide to go to school and gets a full scholarship, just simply change the beneficiary if anyone else needs it in your family or just keep the funds invested and keep them for the next generation because they keep growing tax free in that sense. So I think that's enough on the 529 just kind of moving forward. The other plan I mentioned was the Coverdell ESA or the Coverdell education savings account. This is a custodial account for your child. It's typically four children under the age of 18 or for special needs children. It's kind of set up primarily to pay for qualified education expenses. Coverdell ESAs they do have an income phase out in a sense that if you make more than $220,000 if you're married or over $110,000 if you're single, you're unable to contribute into this plan. In addition there is a limit. You are only allowed to contribute up to $2,000 per year, which is much lower than the 529 plan contributions. However, there are benefits I mean there is, the Coverdell ESA can be used towards K-12 tuition. There is no restriction over there. And similar to the 529 plan, it does have a 10% penalty though if the funds are used towards non-qualified non-education expenses. So just keep that in mind. The final kind of education seems to we echo, we mentioned was the UTMA or UGME. This is actually technically to be honest with you, it's not an education sequence per se. It's more like a custodial account for your children, the children can actually use this money. I mean, it's pretty much for the benefit of your children, when your reach at a majority age or 18 or 21 years, depending on the state they're in, they could actually use these funds towards any expenses, not just kind of education expenses. So similar to a 529 plan, you can contribute $15,000 a year if you're single or $30,000 a year if you're married without incurring federal gift tax. But just keep in mind the assets are held in the child's name. So the contributions are irrevocable. I mean pretty much once your kids become 18 year olds or 21 years depending on the state, they control the assets and they can use it however they like. College expenses are not. Also these contributions are not tax deductible. There is no tax benefit like the 529, unfortunately you cannot change beneficiaries. So it's a one-time decision you make that's pretty much a lot with that. So yeah, I think we'll kind of end at that. Niall O'Brien: Yeah. So certainly the whole idea of credit and credit history it was fundamental to everything here on one side. So when I came here first to get a credit card, I mean the guy in the bank was very clear. He said, "Look, you're just not going to get one. But if you put down $2,000 as a sort of security payment, I'll issue you a credit card with a $2,000 limit and you keep paying it every month and then in 12 months' time we'll give you back your $2,000 but you will also have a one year of credit rating by then." So that's what I did because it was the only way to get credit. I mean, I remember going into a car dealership when I got here first. The terms they offered me were hideous on a car loan. So I ended up buying my car for cash and thankfully I had enough savings to do that because I just couldn't imagine paying that level of interest. So that's certainly something, anyone who's arriving here knew, at first you're going to have no credit, but then suddenly a year or two later it's going to start pouring in and know I get the same amount of credit card offers every month in the mail as anyone does forever getting the vast amounts of credit card limit. I don't use it but it's there and I have a very high credit score, but that just happens naturally over time. So that's something anyone coming here, you kind of need some savings to get started. Otherwise you're going to find it tough to access some of that stuff. Sahil Vakil: You're absolutely right Niall. In the United States to have a FICO score, you need at least one account that's been open for about six months or longer and you need at least one credit card. Reporting your activity to the credit bureaus in the last six months. That has several ways to build your credit score. And I think what you mentioned getting a secured credit card backed by a cash deposit is generally the most common way. Yeah. As you mentioned that you would put down say a $2,000 deposit for 12 months and the bank instead of giving you a debit card would give you a credit card that is secured by that $2,000 balance. As you keep paying this card over the months, you build credit history and eventually after hopefully after a year you have sufficient credit history to not require that $2,000 deposit. So MYRA Wealth we've identified about 10 secured credit cards that are really good and I'll just include these in the show notes, but just to quickly rattle them off for our listeners. So the journey student rewards from Capital One's pretty good. Discover it® Student chrome, Bank of America® Travel Rewards for students, Deserve Edu Mastercard for Students, Bank of America Cash Award for Students, Bank of America Credit Card for students. Capital One Secured Mastercard, Green Dot primor® Visa® Classic Secured Credit, State Farm® Student Visa® Credit Card, Discover it® Secured and Discover It Student Cashback. These are probably the 10 kind of best ones. And again, if you heard me, a lot of these are like student credit cards and these are targeted more to international students that might come to the United States for the first year. Or even individuals like yourself Niall who moved here on an Albany visa for a job. We'll include these in the show notes if folks were to refer to them. There're also other ways to build credit apart from these methods such as you can get a credit builder loan that's backed by a cash deposit. Now it's similar to kind of the secured credit card concept, but instead of a credit card, you take a loan out by repaying the loan, you build credit history. So it's kind of very similar, but instead of a credit card, it's a loan. Other ways include one, you can potentially become an authorized user on someone else's card that'll allow you to build kind of credit history as well. Getting credit for the rent you pay. So check out the startup called rent frack, they basically assign your rent payments as kind of a credit worthiness scores as well. The other way you could do this is also by getting a phone number in your name and then just paying the bills on time. And then finally signing up for utilities like PSE&G electric or the internet, et cetera, or cable, and then paying those kind of bills on time as well. We'll help you build credit score. Just for our listeners finally, for those who may not know this, but you are entitled to order every 12 months, a free credit copy, a free credit report from each of the major credit reporting agencies such as Equifax, Experian, and TransUnion. Just go to annualcreditreport.com and you can request your copy. Niall, let's get back to your story. Niall O'Brien: Yeah. So I then did a bit of research afterwards several years later on them, how does a credit score work. And what I realized what they said was, if you have a high amount of credit available but only use a low amount of it, that gives you a very high score. Because I was naturally held back from having a high score by the age or the history because I could only have history that started in 2010. So I then sort of went through a phase of, I applied for and got a number of different credit cards and they all gave me basically decent limits. And now I have sort of 120,000, just something of credit card limit, which I never use even a fraction of it. And I always pay my credit card bills every month. I never ever, ever, ever pay interest on a credit card. And it's one of my own sort of personal rules. So that in turn allows me to have a pretty decent credit score, which then allows me to get a car loan. The last time I got a car at a quite low interest rates. So that's the sort of one of the tactics that I followed. Sahil Vakil: So talking about rule, you mentioned this is clearly a rule for you, is never keep credit card debt. What other rules do you follow with your money? Niall O'Brien: Well, I never sort of spend money. I don't have look at it. The only things that ever taken a debt for, when I started working at the very beginning I was on a quite low trainee salary. So I did get an overdraft facility, a small one that maybe 500 pounds or something and maybe a little more, I can't really remember just to sort of at times you need to be tied it over till the end of the month. But apart from that, I've never ever, and I suppose I've been in the lucky situation that I've never had to sort of use credit or borrowings to fund sort of day to day expenditure. So the only things I've ever borrowed money for were to purchase a house, a car and I've never sort of borrowed money to go on vacation or borrowed money for day-to-day expenses and I'm probably quite lucky to be in that position, but it's one of the things I have. I don't spend money I don't have on day to day things for sure. Sahil Vakil: And then there's this very interesting concept of good debt versus bad debt that I think, which you alluded to, right? Which is so in our mind, good debt is anything where if the asset's life is longer than the loan or the debts life, that's one criteria. The second criteria is the asset that you buy when the debt actually appreciates so the example you gave is a home the, the home mortgage could 30 years but the home can last you more than 30 years, even maybe 50 or 100. Niall O'Brien: Yeah. Can be sold and the loan on the land from the sale. Sahil Vakil: Exactly. So that's typically considered good debt because the asset is longer lasting than the loan and the asset can appreciate versus the bad debt piece is the credit cards, which it's kind of short term satisfaction and you typically in most cases the debt lasts longer than the experience that you paid for it with it. Niall O'Brien: Exactly. Yeah. And I mean I enjoy being able to travel and do things with the money I make, I mean I don't go crazy. I don't have a crazy night clubbing lifestyle or anything like that. And I only travel and coach and such, but, I do enjoy being able to spend money, but I never spend money that I don't have. Sahil Vakil: Do you think that's a cultural nuance in the sense that, did you grow up like that or was it more that you just kind of learned over time when you came to the United States? Niall O'Brien: I don't know if I described it as cultural, it's probably a little bit cultural. I would say it's certainly I came from a family that I grew up in our household that was prudent with money. My Dad worked in an insurance company and we had a very sort of regular upbringing and so there was not money flashed around. We were made to know or to understand the value of money as kids. So it might be cultural from within my family. Other people who live down the street might be the same way. Although I think overall that in Ireland or certainly in the era I grew up, there would be somewhat of a cultural trait which might be in contrast to the US where credit was a lot more available to people those times. People, contemporaries of me growing up probably had access to a lot more credit and a lot more ability to run up those overdrafts. Whereas at least when I was young, nobody was going to give me credit to spend that way. So in some ways I didn't get into that because there was no way of getting into it, but I don't think I'd have got into it anyway. It's not in my particular nature to spend money I don't have. Sahil Vakil: That makes sense. Thank you for sharing. So let me ask you this then. 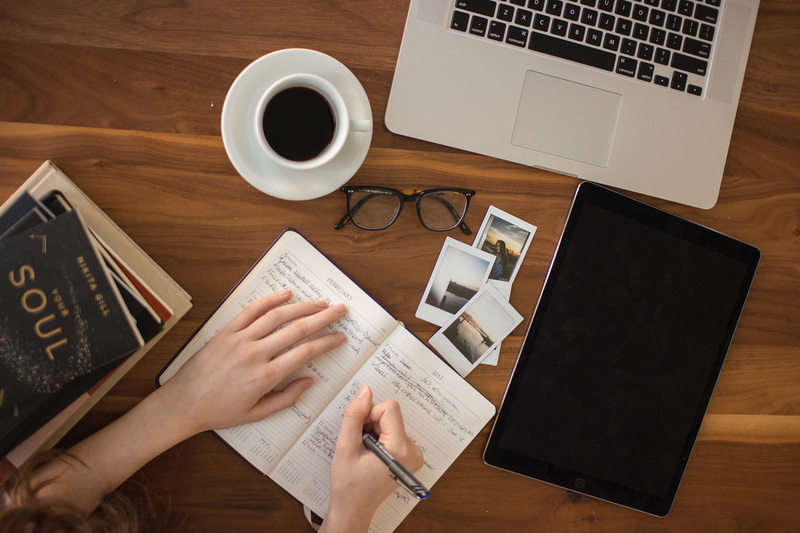 Today, what are some of the personal finance topics that you're curious about? Niall O'Brien: Probably curious about sitting down and it's a case of something I need to force myself to do because I probably have about 20 years of work life left of it in my mid 40s and I need to sort of sit down and map out how that should look from a savings point of view or what I need to do in order sort of self-sufficient by the time I want to retire, although not that I would necessarily say I have to retire, given age and because all of us want to stay busy doing something. But that's something I need to do at this point in my life. I've got to a certain level now and I just want to make sure I don't miss out on anything or I don't forget to do something that I might regret later. I'm not sure. I'm curious about anything else. I've never been a person who speculates very much on trading or share trading or bond trading. It's something I feel that I just don't have the same knowledge as people who are professionals at us and therefore I'm unlikely to ever beat them. So it's not something I engage in. I sort of stick out a little more boring, plain vanilla and stick with the sort of the vanguard type of fund for that. Perhaps it would be good to know more about that. But I have a funny feeling that no matter how much I tried to learn, I will never be anywhere close to where the professionals are and therefore my chances of beating the market are probably very, very low. So it's not worth the risk. Sahil Vakil: And this is saying, right, that's basically invest in what you know. So I mean, and there's also several studies that have shown that active managers don't actually beat passive investments. Warren Buffet is a huge proponent of this. He pretty much says just put your money in the S&P 500 and just sleep well at night. Niall O'Brien: Exactly. Yes. I suppose it's about just having the split of funds have something in the, as you say, the S&P 500 of something in real estate, maybe have something in treasuries at a point in time and sort of make sure that that split is a suitable or appropriate. And then just sort of focus on getting the savings. Sahil Vakil: So I think what you're getting at is diversification, is pretty much diversify across different asset classes, try to also diversify across different geographies. You've done that successfully with investments in Ireland and the UK and now the US, try to diversify also across different asset types like equities versus real estate versus bonds. So again asset causes like large cap, mid cap, small cap equities, bonds, real estate, and then also cross geographies, the UK, the US developed emerging markets, et cetera, et cetera. So that's a very interesting kind of a strategy there. Niall O'Brien: Yeah. And it's sort of evolved into the extent that I have it. It's evolved rather they've been specifically planned although as I sort of saw myself having these things, some real estate in the UK, some real estate in Ireland, I sort of said, Well, it's probably okay to hold on to those if I'm not losing money on them, they're useful to have because of that diversification. And then I'll just have some money in stocks and bonds as well. And that way I have some euro exposure, pound exposure and a dollar exposure. So I'm sort of, I suppose reasonably well hedged from that point of view. Although with Brexit, I no idea what's going to happen by a real estate value in the UK. But hopefully it will hold up. Sahil Vakil: Right. Absolutely. So I think now we're just going to move into a segment where I'm going to ask you maybe four or five questions, if you can provide us with short stories on these I think that would be very interesting for our listeners. Are you ready? Niall O'Brien: Oh my God. Sahil Vakil: So what is your best financial decision you made so far? Niall O'Brien: I'll put two. I think taking the job in Jamaica at the time was quite lucrative, the sort of because the company do well in the sort of bonus structure to that was quite lucrative. So that was a very good decision for the two years I was doing that job. And then investing in the apartment in London was a very good decision because it's grown quite substantially in value in the time. Sahil Vakil: Okay, fantastic. And what has been your worst financial decision to date? Niall O'Brien: That's also a real estate, although it's recovering a bit now, bought a house in Ireland less than 12 months before the sort of financial crash. So almost at the top of the market. And to it lost a good bit of its value, I still own the house, it's rented out. I earned rent on it. It's not a problem from that point of view but sad and we're not in negative equity but it is worth still worth a fair bit less. Sahil Vakil: Interesting. You're probably the first person who has said real estate has been their worst and their best investment. Niall O'Brien: Yeah. And it was just timing to different places and different timing and if I'd waited 18, 12, 18 months in Ireland it would have been the best because I would have been buying at the bottom of the market. Sahil Vakil: It makes sense. Next question, what has been your happiest moment as it relates to money? Niall O'Brien: It's interesting because money in and of itself, I guess one feels happy but getting money, it's because you're happy because the decision you made was right or the job you did was good rather than the money intrinsically itself making it you happy. I do remember one occasion and I'm not a gambling person at all. I almost never, I would say less than once a year, even gamble, if I'm in Las Vegas, I barely even go to tables or casinos at all. So I'm just simply not a gambler. But about this, before I moved here, so it was back in are probably 10 or 12 years ago. I was working on a project with some people and one of them was a very big follower of horseracing. And at the time we were working on this project, there was a big horseracing, week long horseracing sort of festival in England. It's called the Cheltenham Festival. It's on every year I think in March. And it has a whole bunch of races every day for a week. And he had identified three horses that he said were like almost guaranteed to win. So he recommended to me and a few others that we bet on them. So I didn't even know how to place a bet on a horse. So someone else actually placed it for me. And we bet on one of these accumulator type instruments. So where you bet 10 euro on each horse, but it's in a structure where if the first horse that's racing comes in and wins all the winnings from that, get also bet on the second horse. And then if that wins all the bettings from that get bet on the third horse. So you get triple, the odds all and multiply by each other. So for a relatively small sum of money, if there was about four of us all bet on us, and it was very funny because the first horse one, and then so the next day we were actually now had an interest in this race. And so we sorta watched the race and the horse won. So this now meant on day three we really, really had an interest. So we made a point of watching the race and the horse won and we were so delighted to ourselves because although we'd bets on a relatively be small amount, it paid back. I can't quite remember something like 70 or 80 times. Niall O'Brien: The amount wagered, yeah. Now, but when you've bet, I can't remember, I think like I bet 20 or €30 and got €1000, something like that, 1500 Euro. So it was ridiculous like in on the face of it because it was a very, very improbable, because we had some advice from someone who really, really studied the business. His family was in horseracing. He kind of knew that these were highly likely to win. And it was yeah, it was just more for the sheer fun of doing it rather than the money itself. I've no idea what I spent the money on, just it wasn't enough to change one's lifestyle. If I bet a couple of 1000 on it, it might've been a substantial amount of money that came back. It was more the enjoyment of seeing the accumulation and seeing the horses win than anything else but haven't really bet on anything since then because I knew for a fact I'd lose it all again. So yeah. Sahil Vakil: You're a smart man. That's a good strategy there. Take it when you have it. Right. Yeah. So what has been your most unhappiest moment or story as it relates to money then? Niall O'Brien: I mean it probably linked up with that saying that worst decision buying and then seeing a property value crash happen shortly after. I can't think of anything else as again, I try not to base my happiness or otherwise around money specifically. Sahil Vakil: I think that's a very interesting point because there have been surveys and studies that show that happiness and money are correlated until a certain level. I think the number is like 70,000 or something along the lines where for every additional dollar that you kind of have an income, happiness keeps increasing proportionally. But once you reach an of $70,000 or more in income, the marginal increase in happiness for every additional dollar actually decreases. So I mean that's about interesting kind of maybe a different conversation to have but I guess it goes to your needs versus wants conversation where once you satisfy your needs with that initial 70,000, at least for the United States, additional dollars on top of that to satisfy your wants only creates modular happiness for you. Niall O'Brien: Oh, I would certainly agree with that. And I mean, having more money definitely allows you to, take different types of vacations or take more vacations are go to restaurants more often, which are enjoyable. And certainly add to happiness. But I would agree with you, once your basic needs are met and you have a place to live and a food to eat and transport to get around without those things, life would be extremely tough. Whereas anything else after that is just not unnecessary, but it's just building on top of the base and yeah, it makes you better, but not that much happier. So I'd rather not focus on saying, oh look at this way, I would not want to destroy everything in just for the sake of making a bit of money, destroying my relationships, destroying my family or never see my family or anything like that just for the sake of making money. Sahil Vakil: Right, right, right. So one last question on this rapid fire round here and and this question is an interesting one. So kind of let yourself loose here, is what would you do differently if you had an unlimited amount of money today? Niall O'Brien: Oh my God, what would I do differently? And it's sort of hard for me in my mindset to get there. But because do I want to have houses in 10 different places around the world and move between them? I'm not sure I do, but it would be nice to have a holiday home and a nice sunny part of the world, a nice did idealic Island and might be nice to have a holiday home and in a ski resort. Might be nice to be able to bring my family on vacations, make sure my parents are well looked after. You can only eat three meals a day and you can only still got to sleep every night and you can only sleep in one bed every night. But I find it hard to know, I probably haven't thought about this enough, but it might be nice to have your own personal staff or a chef to make, make really good food. So although I enjoy cooking sometimes myself, I guess it would, it would free you up to have an unlimited amount of time to do things that are not involving sitting at a desk behind a computer or sitting on meetings and doing conference calls and such. I don't know. I haven't fantasize too much of it, but what I would do, I'd probably buy a plane. I'm learning to fly at the mountain, so I'd probably buy myself not a very big plane, because I wouldn't have the qualifications to fly it, but something nice that I would be qualified to fly around a bit, go on trips. Sahil Vakil: That's fantastic. Yeah, I think that the plain one will be interesting. Please do take me on that next ride when you do learn how to fly. Niall O'Brien: As soon as I have my license, I'm almost there. Sahil Vakil: All right, fantastic. I think it's been an absolute pleasure speaking with you Niall, I think your stories are amazing and I'm sure our audience is going to really enjoy listening to them. So before we end this podcast, if there was one thing, one final tip that you would provide our listeners in managing their personal finances, what would that be? Niall O'Brien: I would say I would bring it back to that point you made or that we both made about good debt and bad debt is that there's nothing wrong with good debts. If it's properly structured against whatever assets and bearing in mind your income, that bad debt or getting into debt for day-to-day, unnecessary expenditure is a very dangerous thing and should be avoided. Sahil Vakil: Thank you Niall. It's been a pleasure. Niall O'Brien: Not at all. Thank you for having me.